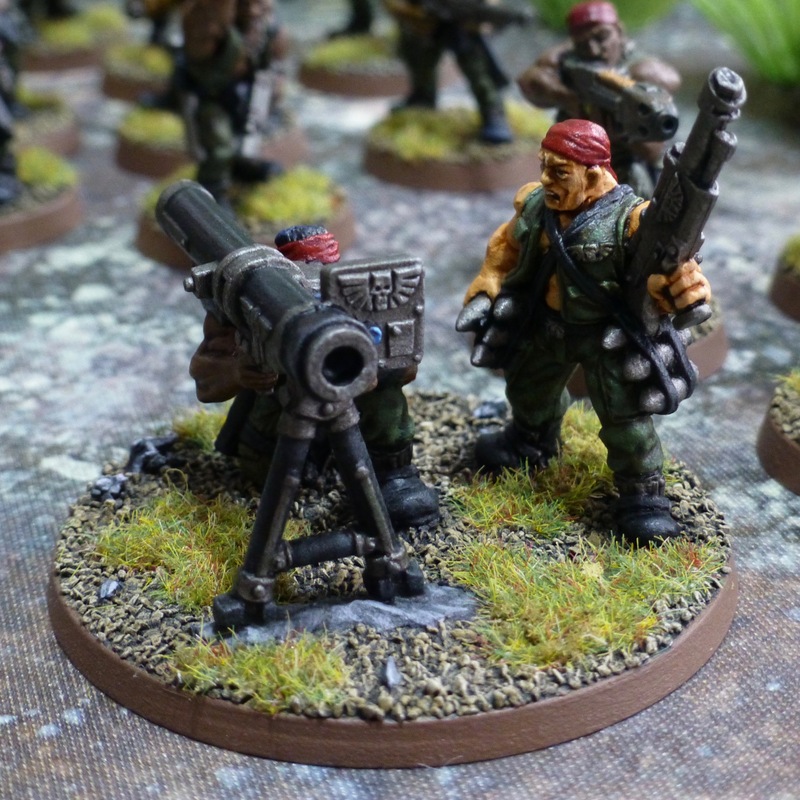 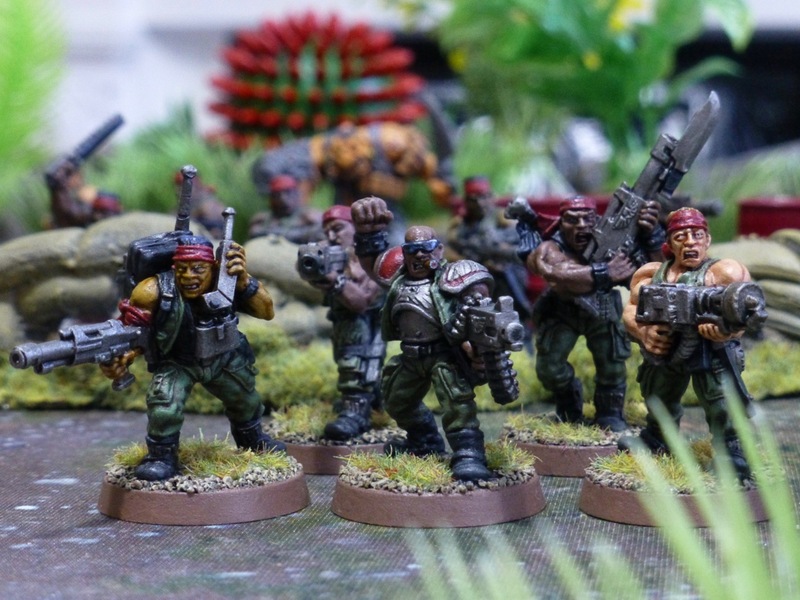 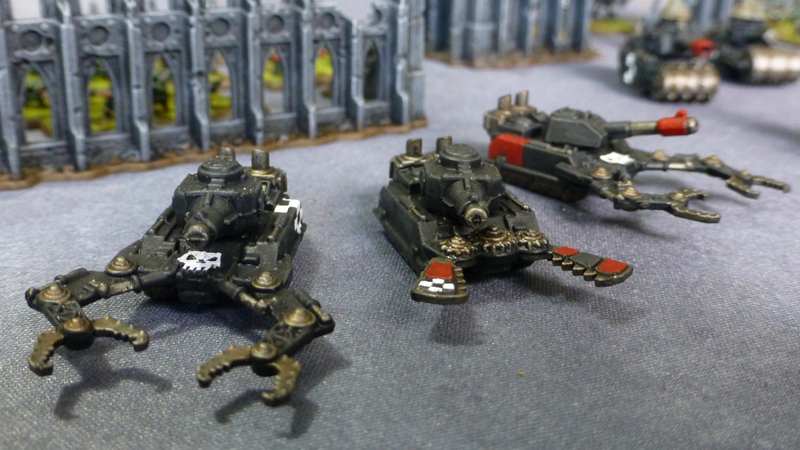 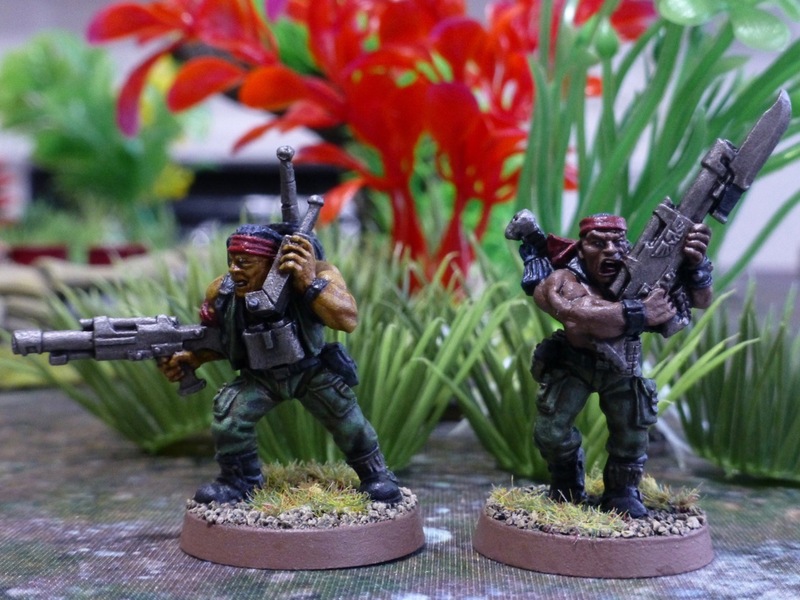 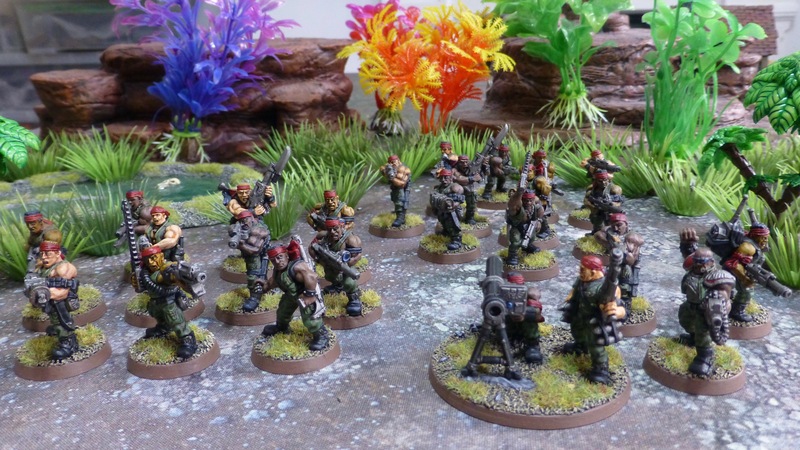 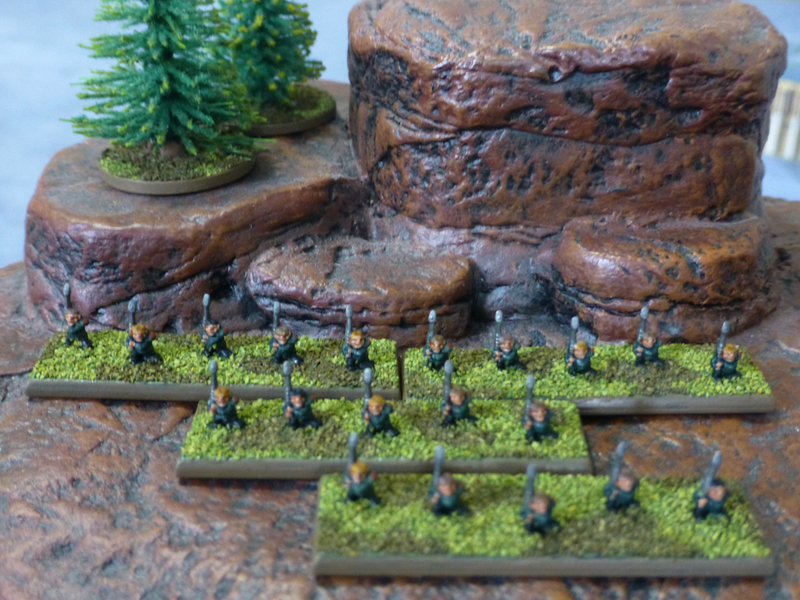 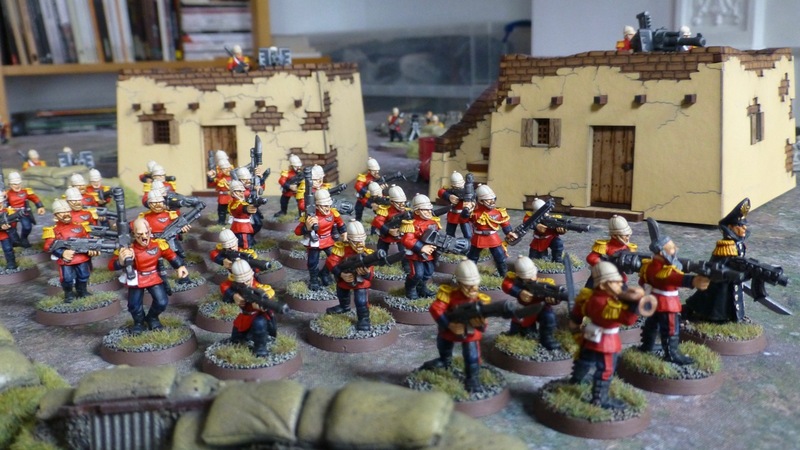 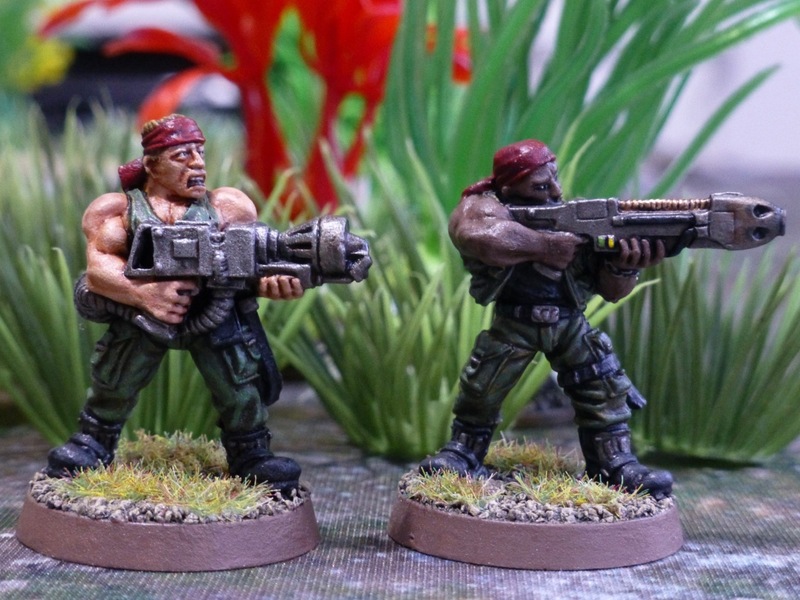 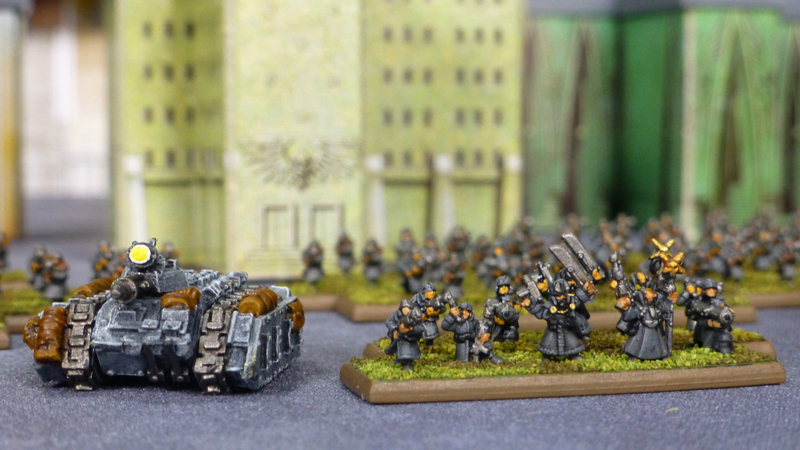 The Imperial Guard Tactical Company has received some support detachments in the shape of heavy weapon teams, Ogryns, Ratling snipers and Griffon mortar carriers (using Thudd Gun rules for them as there are no Griffons in 2nd Edition). 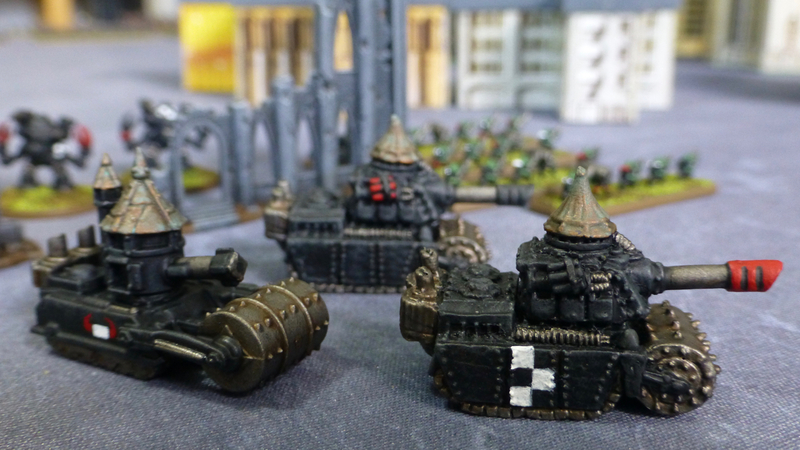 Other than the Capitol Imperialis which still needs painting (and new tracks), this is the first company for my Imperial Guard in Epic 40k done. 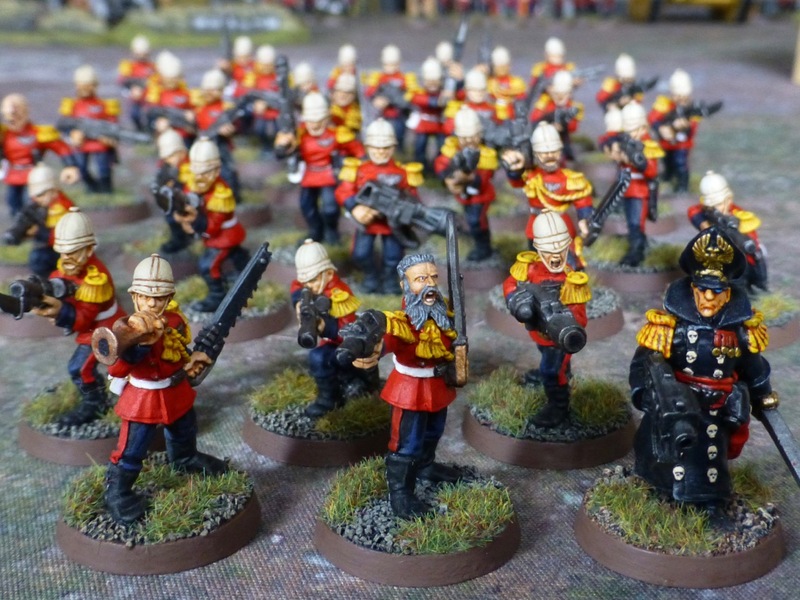 Now I am painting a Goff Klan to face them, and will be switching back and forth between the 6 or so formations I plan for each. 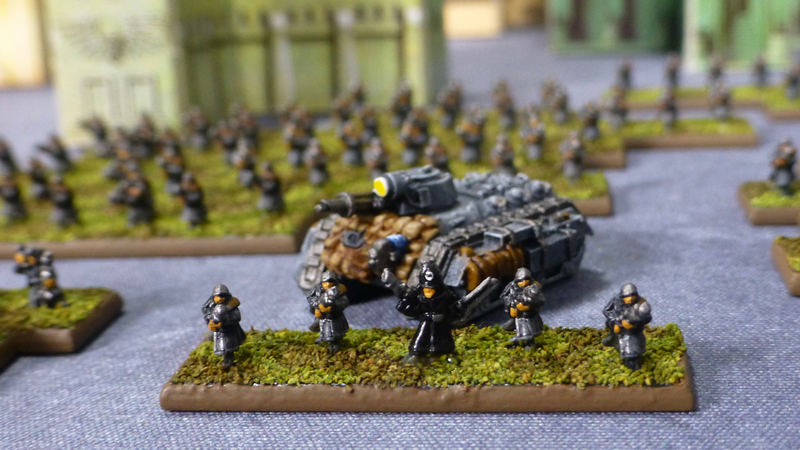 With some Space Marines thrown in here and there. 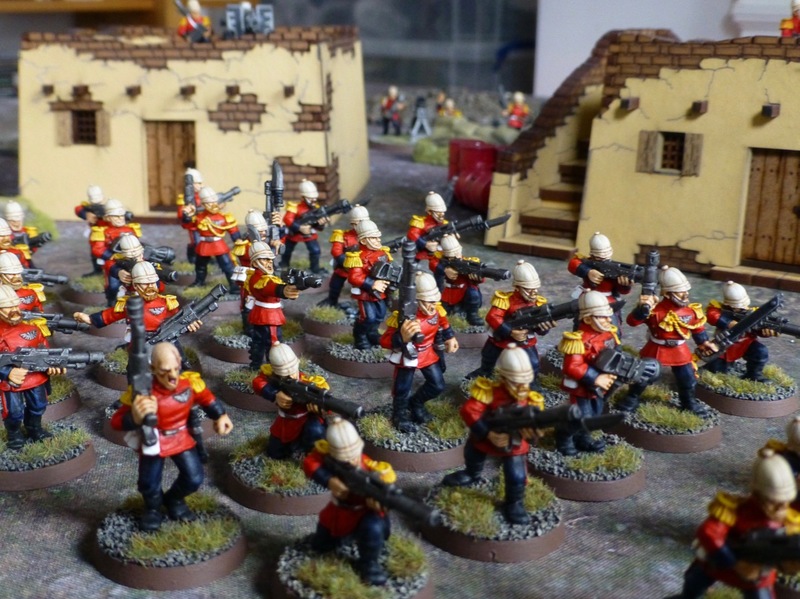 I have expanded my Imperial Guard for Epic 40k into a full blown Tactical Company under 2nd Edition rules, having decided to go back to this iteration. 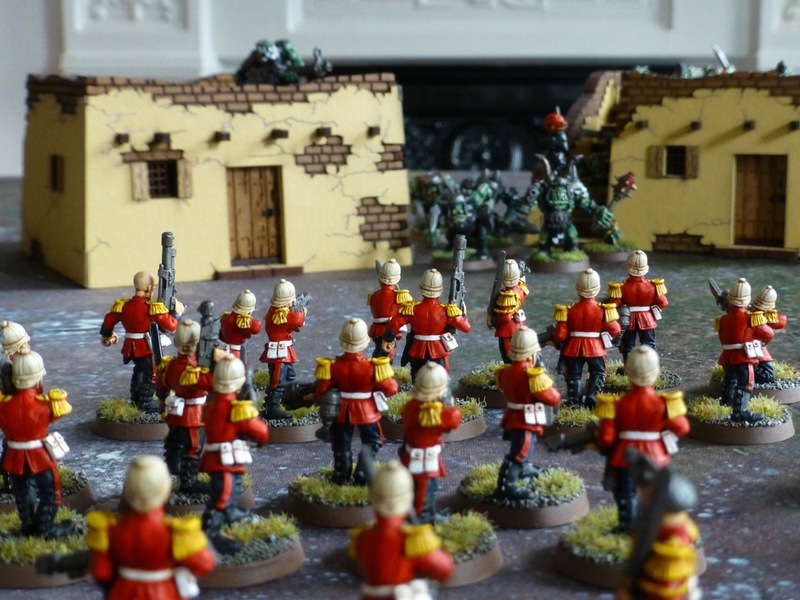 It was the game we played most back in the day as the rules were engaging, armies affordable, figures paintable in a reasonable amount of time and easy to transport. 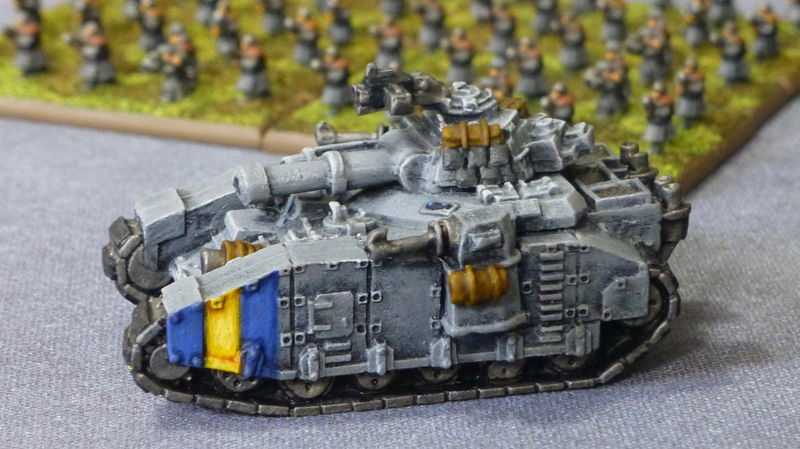 While 3rd Edition was just awful and killed the system off, it did produce very nice (overpriced) models. 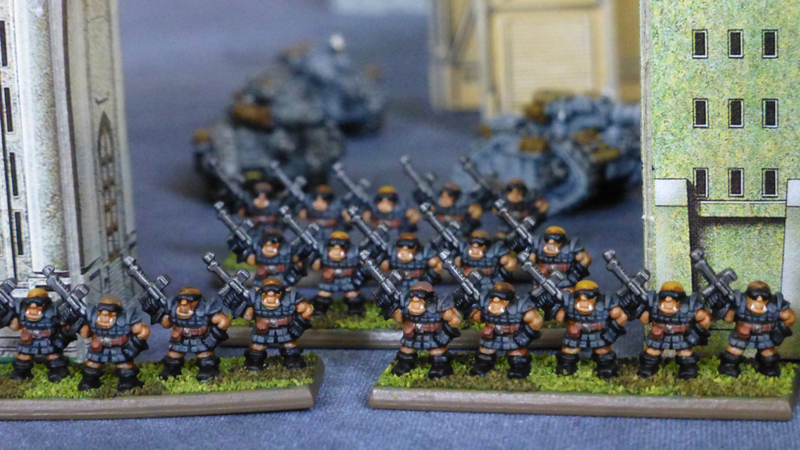 Therefore my armies these days consist mostly of figures from that era. 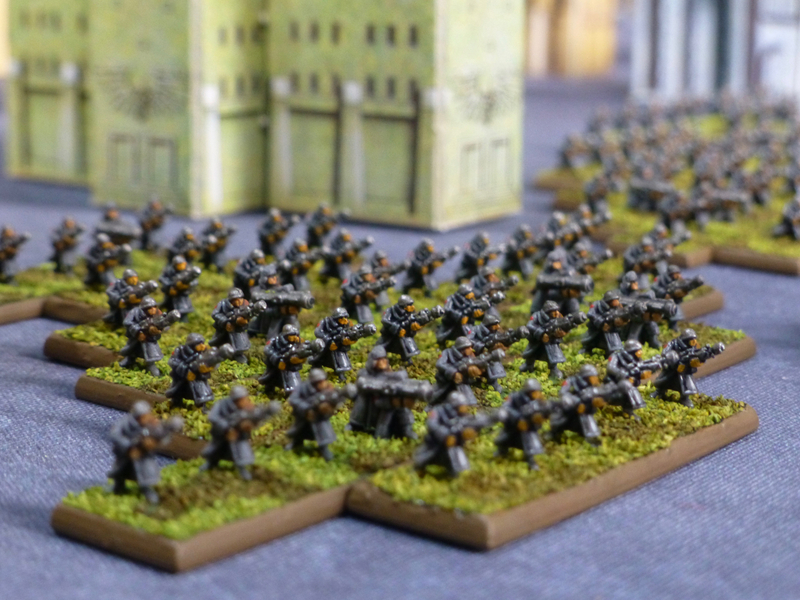 Taking closeup shots of 6mm figures is a horrifying experience but I have steeled myself well enough not to attempt to add any more detail or smoother highlighting. 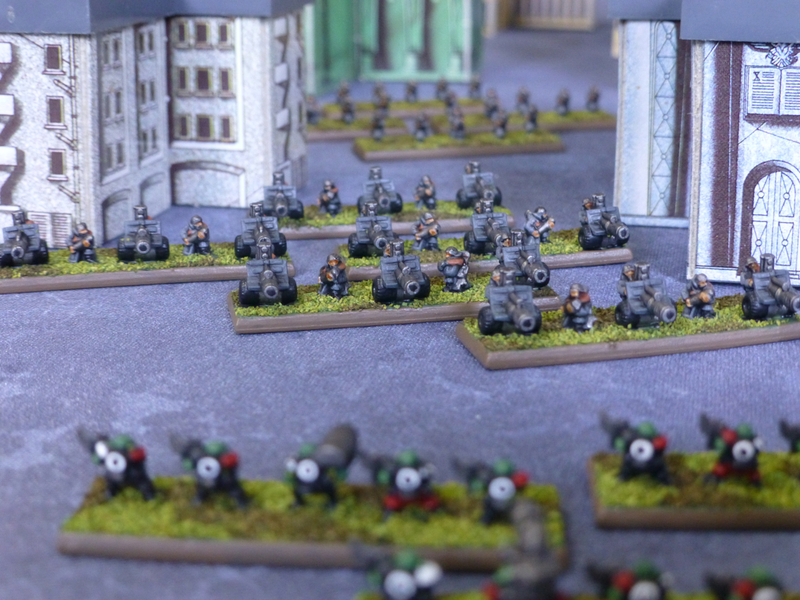 There are also some abstractions to be made. 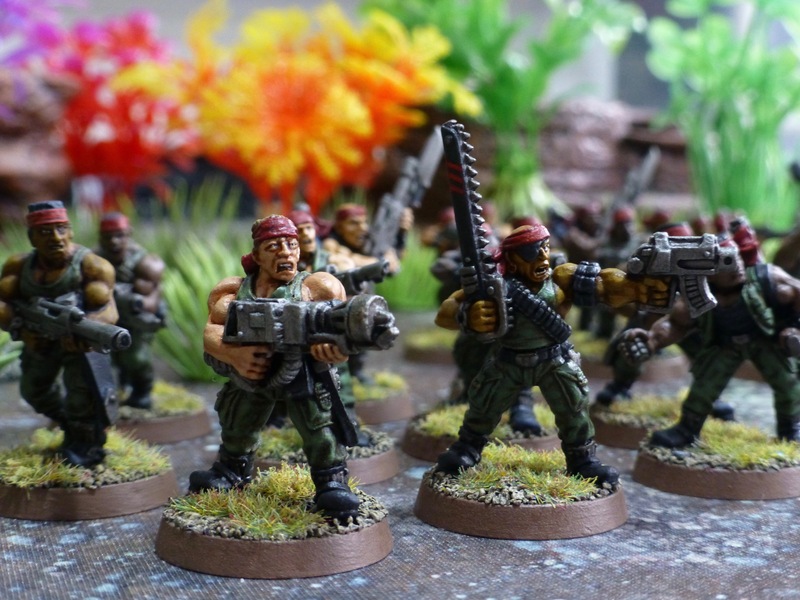 For example, the missile launcher team comes as a single figure, but I didn’t like the look of having just four models on a base, so the squads effectively end up with eleven troops in them, counting heads. 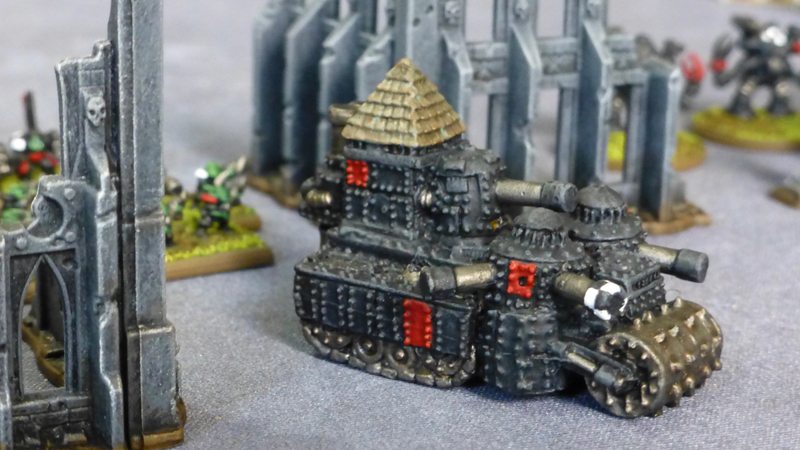 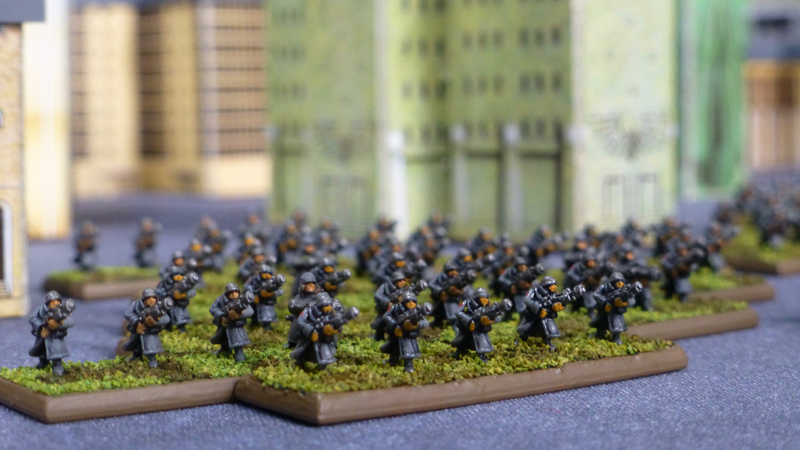 Secondly, there are two command stands for the company, where in 40k an HQ unit would only consist of five soldiers. 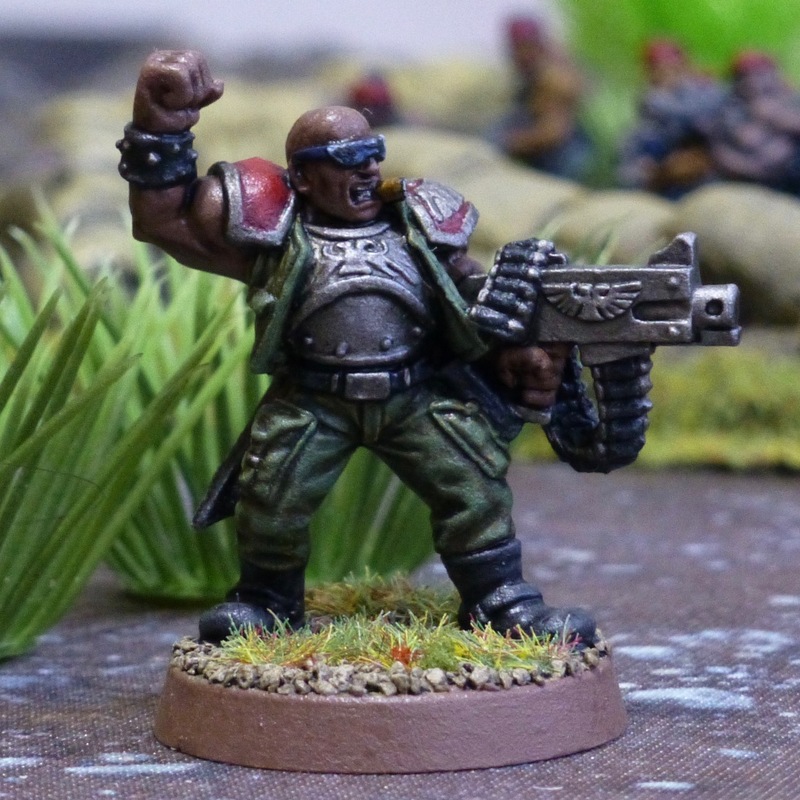 I have given both a psyker and a commander figure to make them stand out and clearly designate them. 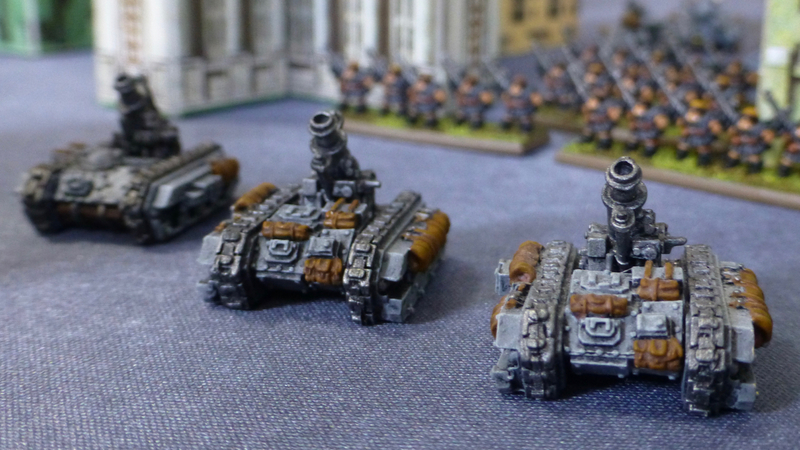 Thirdly, instead of Rhino APCs I am using Chimeras. 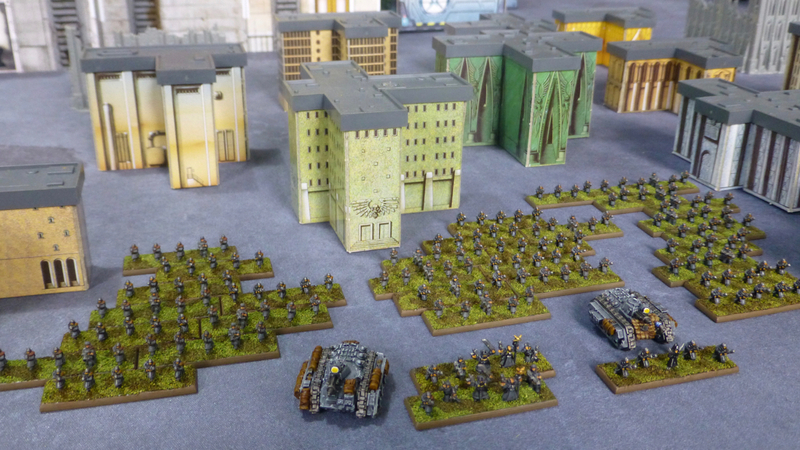 I much prefer the Imperial Guard having its own flavour here, though I am still going to use Rhino rules to keep the points balance of the formation. 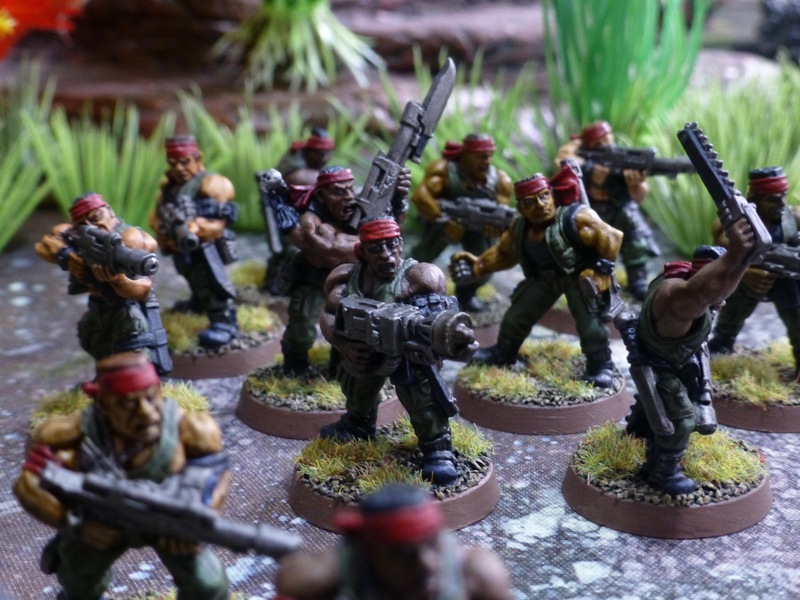 Each company gets a free Commissar – the soldiers will rejoice!